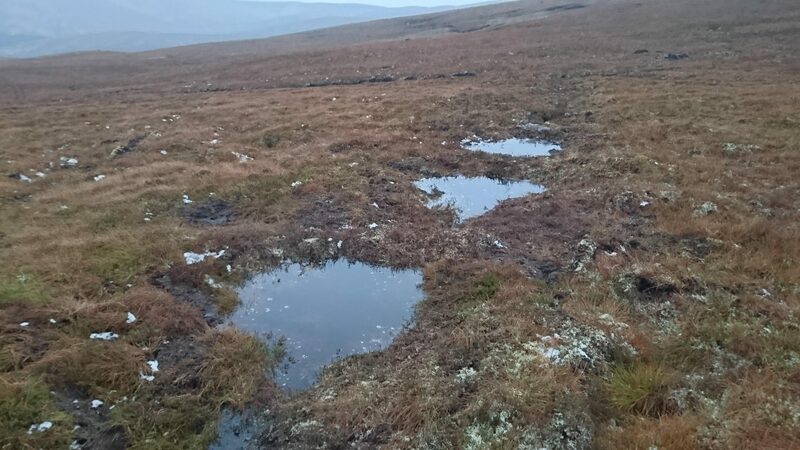 Our Monadhliath peatland restoration project is now in its second year. 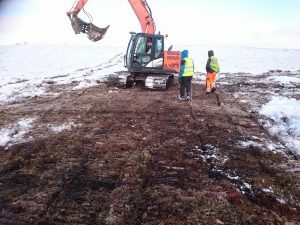 In the next 8 months or so, we need to treat all the land we didn’t manage to work on last winter because it was so snowy! 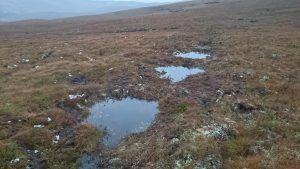 We also hope to treat a new cohort of land, slated for the second year of the project, assuming that SNH can help fund it through the latest round of Peatland Action. Here’s a picture of some of the first ‘wave dams’ we installed before the snow came in December – this is the sort of work we plan to roll out more widely in the summer of 2018, along with other novel techniques such as one being developed to re-profile micro-eroded peatland.